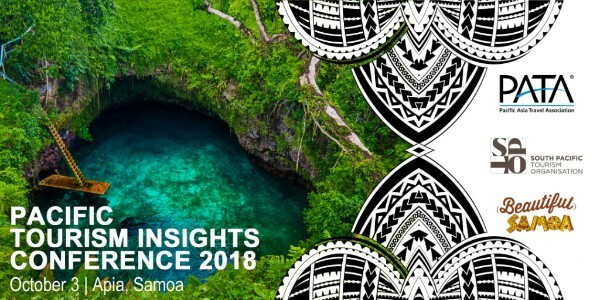 BANGKOK, 2018-Aug-09 — /Travel PR News/ — The Pacific Asia Travel Association (PATA) in partnership with the South Pacific Tourism Organisation (SPTO) will organise the second Pacific Tourism Insights Conference (PTIC) in Apia, Samoa on October 3, 2018. This entry was posted in Festivals and Events, Tourism, Travel, Travelers and tagged Apia, Chris Cocker, Dr. Mario Hardy, Pacific Tourism Insights Conference (PTIC), PATA, Samoa, Sonja Hunter, SPTO. Bookmark the permalink.